Painted on site in a a 'tent city" neat Victoria, BC Canada. While the homeless population in the region is ever growing as the prices of real estate increase dramatically - people seek community even at the margins. 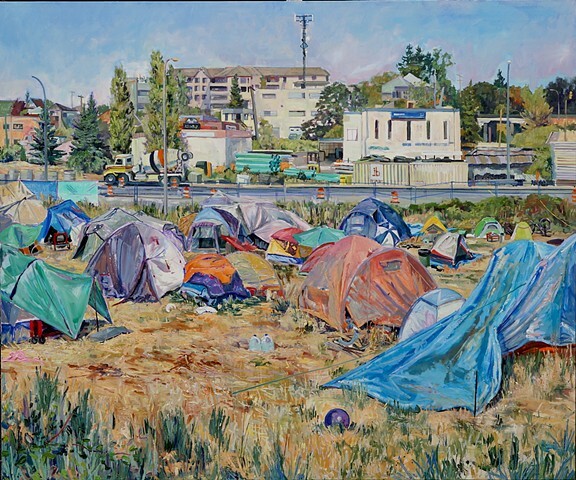 This work seeks a rapport with the place and its residents - landscape and painting are social practices. This is contemporary landscape painting.